Howard M. Katzoff is a retired school teacher who taught English, Social Studies and Drama for forty years and now serves as co-director of Educate the Whole Child. As a Project ARTS Coordinator in New York City, he also supported arts instruction for thirty-three schools in the South Bronx. In 2003, he piloted the STARRR Program, Substitute Teachers for The Arts and 3 Rs, which still brings performing artists into public school classrooms as substitute teachers. He retired in November 2007. Students in the New York Performance Standards Consortium are learning to be critical thinkers, deeply engaged in their education. 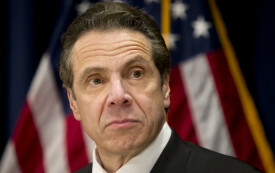 Why Is Andrew Cuomo Pushing an Education ‘Cure’ That’s Worse Than the Disease? 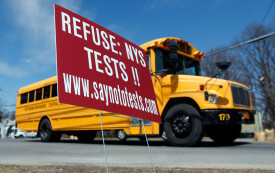 The governor’s emphasis on high-stakes testing is unhealthy for students.